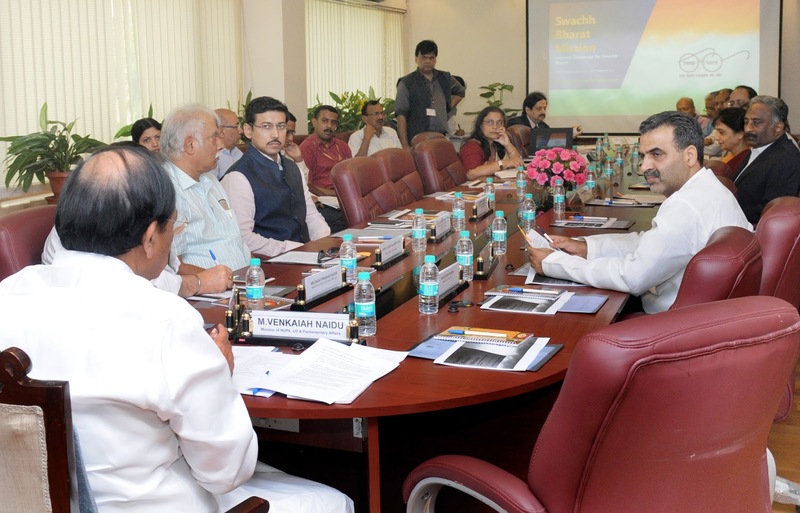 The Union Minister for Urban Development, Housing and Urban Poverty Alleviation and Parliamentary Affairs, Shri M. Venkaiah Naidu chairing the meeting on Swatch Bharat Mission, in New Delhi on September 23, 2015. The Union Minister for Civil Aviation, Shri Ashok Gajapathi Raju Pusapati, the Minister of State for Agriculture and Farmers Welfare, Dr. Sanjeev Kumar Balyan and the Minister of State for Information & Broadcasting, Col. Rajyavardhan Singh Rathore are also seen. 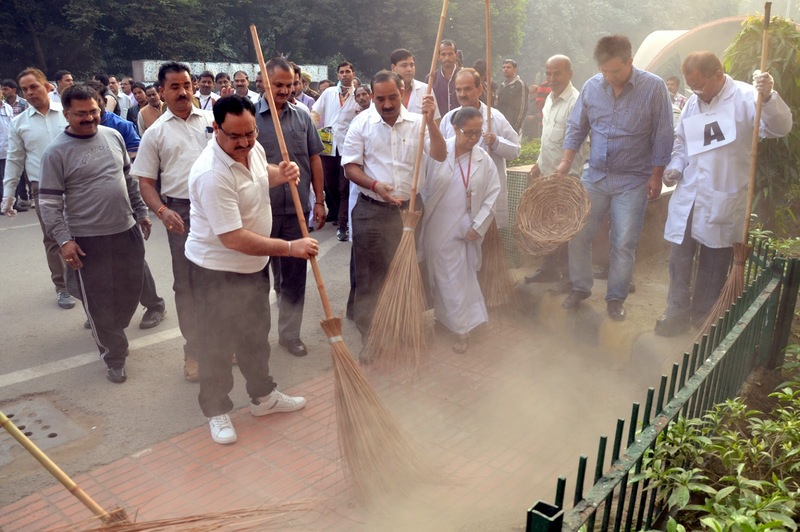 The Union Health and Family Welfare Minister Shri J P Nadda participated in the Swachh Bharat Abhiyaan at the GTB Hospital at Delhi. 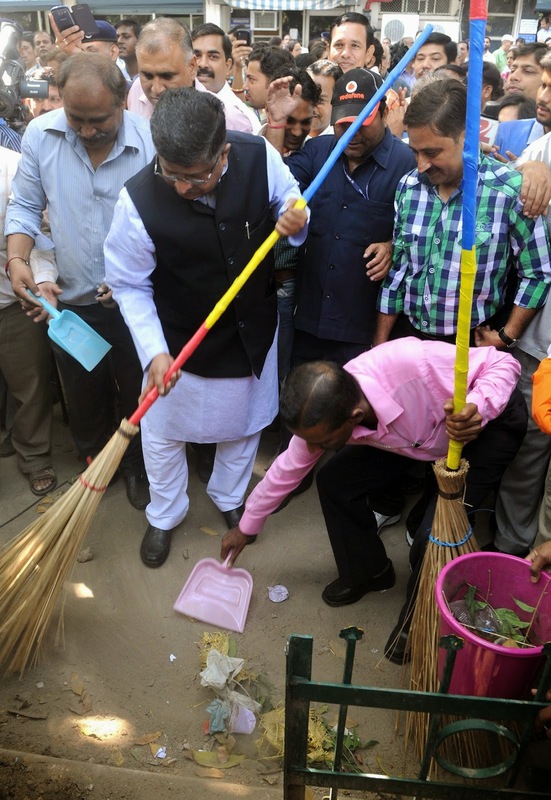 He lead a cleanliness campaign in the hospital premises in which doctors and the hospital staff also participated. 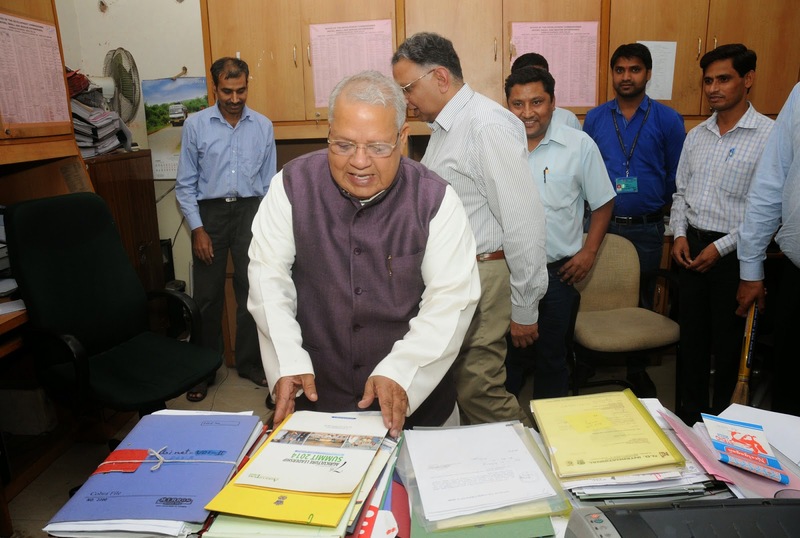 He also inspected the waste management system in the hospital. 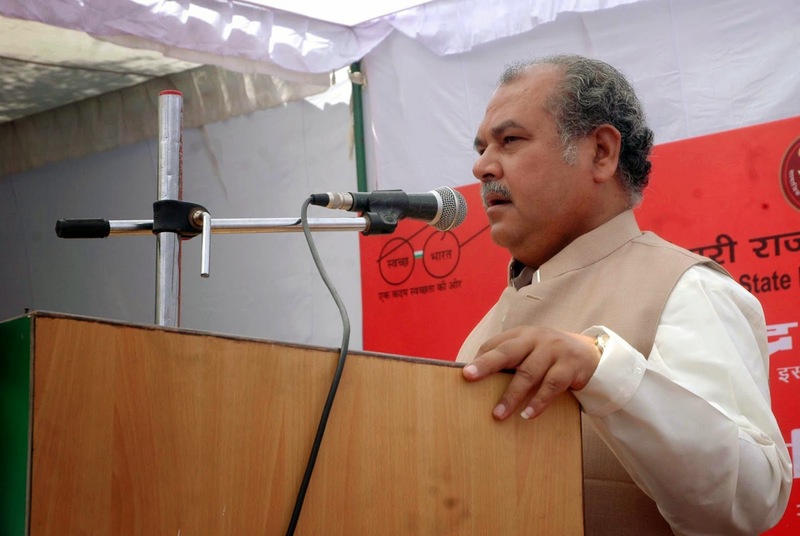 He interacted with patients and inspired them to keep their environs clean and hygienic. 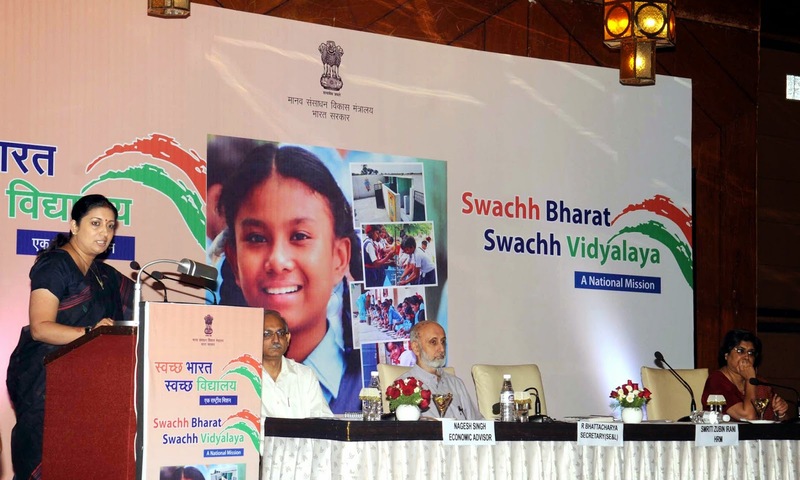 He stated that the Swachh Bharat programme of the Prime Minister Sh Narendra Modi will lead to a healthier India. 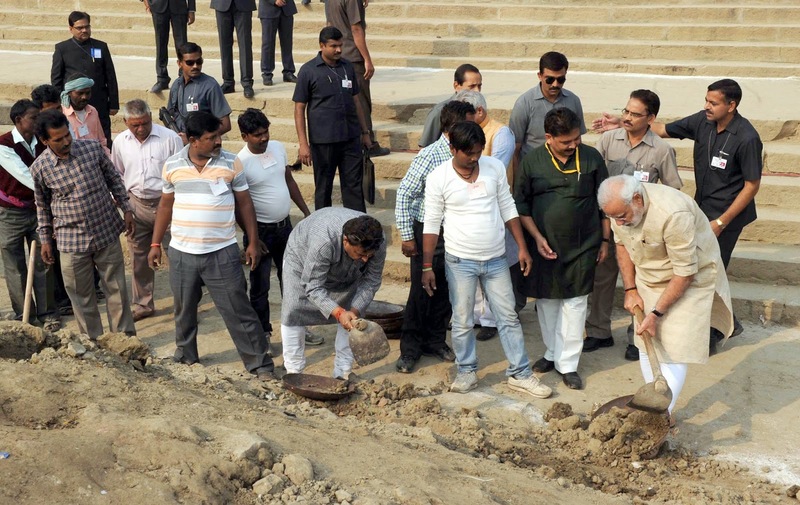 The Prime Minister, Shri Narendra Modi, today initiated the drive towards a clean Ganga, as he participated in shramdaan to remove dirt on the banks of the River Ganga at Assi Ghat in Varanasi. The Prime Minister later nominated nine eminent persons to carry forward the task. 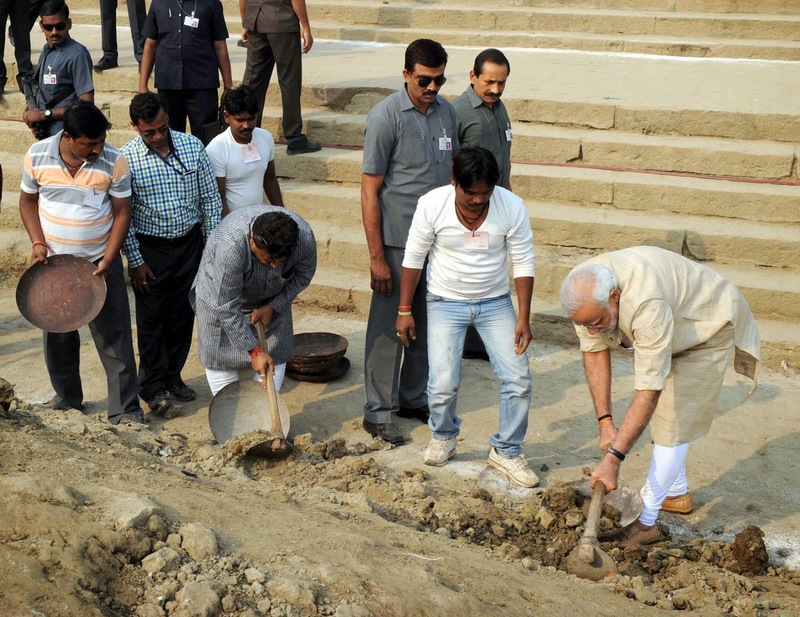 He said social organizations in Varanasi have assured him that the work of cleaning the Ghats in the city shall be completed in one month. 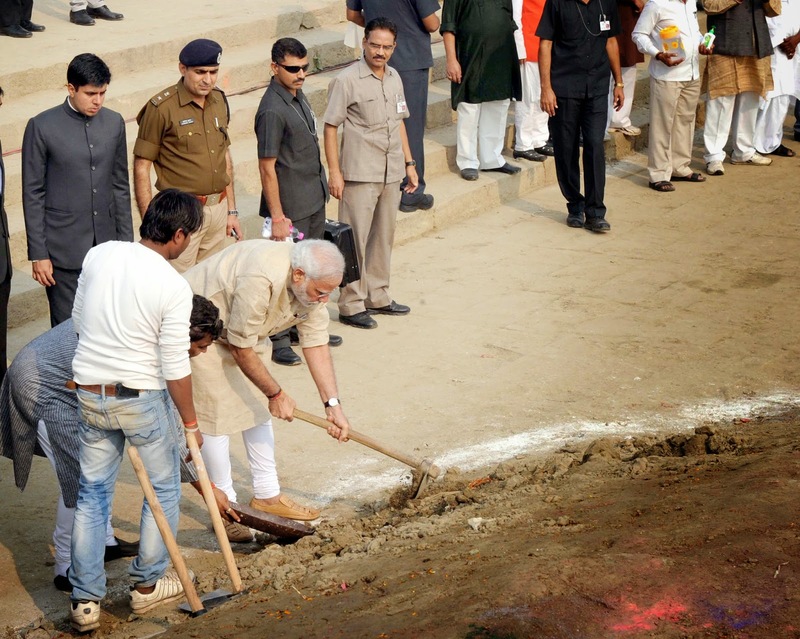 Earlier, Shri Narendra Modi offered prayers and performed Aarti Pujan at Assi Ghat. 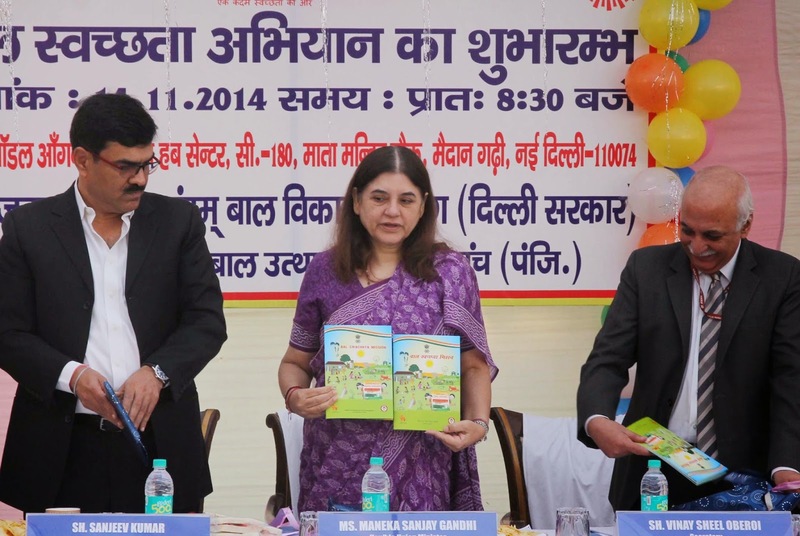 Department of Consumer Affairs under the Ministry of Consumer Affairs, Food and Public Distribution has urged the voluntary consumer organizations to actively participate in the endeavour of Swachh Bharat Mission and undertake responsibility of cleanliness of atleast one toilet in a girl’s school for the entire year. 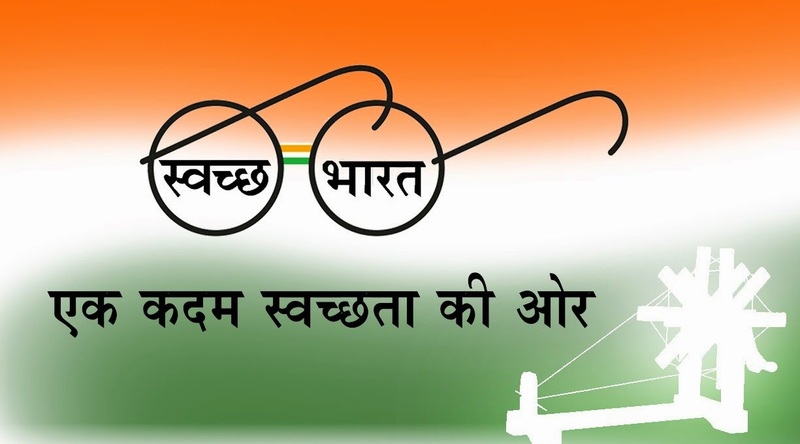 In a communication to the Voluntary Consumer Organizations and NGOs, working in the field of consumer welfare in close coordination with the Ministry, the Department has asked them to run awareness campaigns to mobilize the people for Swachh Bharat Mission by organizing debate, essay and poster competitions among consumers in particular and people in general. Mr Nadrendra Modi sir is true son of India that he has started this mission. But why do we need such a mission to clean our India? Can't we clean her without a mission, with true respect. Ek Bharat Ka Nagarik Hone Ke Nathe Mai Ye Pran (Oath) Letha Hu ki Me Sarda ya Kisi Bhi Sarvjani Jagh (Public Place) uh kisi prkar ka Koi Kachra Nahi Fenkunga, na hi Kanhi Bhi Thook Kar (spitting) sh Gandagi Karoonga. "Sawnyam Ka Sudhar Hi Samaj Sudhar Hain"
Swatch Bharat Nirman ke Sawapan (Dream) ko sakar karne me Sayog Karoonga. Very good initiative. 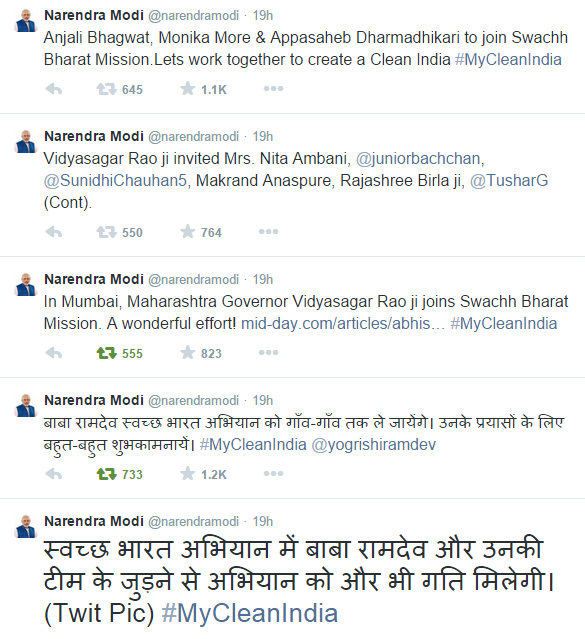 I hope now people will understand the importance of cleanliness. I also hope government would ban Gutkha and Tambaku to achieve this goal in long run. Indian people act and behave according to their own convenience. If we want to change this attitude then we can only implement it by moral policing, Voluntary medium of motivation will help but will not last long if not supported by moral policing. 4. A criteria needs to be set for appointing this people eg. what is the website that is dedicated to this campaign ? very beautiful starts for this cleaning systems in india growth . To get this into the culture of the people.. why not implement as a program in schools where students and parents have to sign up for compulsory volunteer hours for a cleanliness drive in a calendar year. 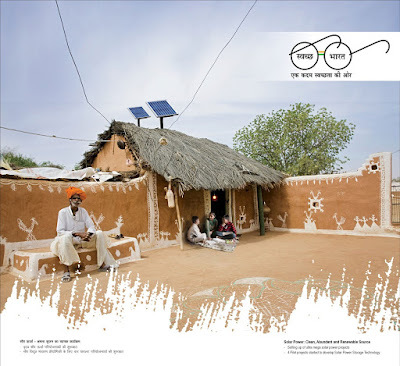 Very beatiful starts for this cleaning system in India growth. Proud to be a Indian. Swach Bharat Abhiyan without Tobacco Ban !!! Things like Pan Masala, Gutkha and Tobacco products must have total ban. Have you seen people in US offices and home chew pan masala and gutkha? Why is India not considering complete ban on these products? If Prime Minister is really serious on cleanliness and health of its citizens, he must put total ban on tobacco and liquor products sold in markets regardless of how much funds and tax revenues it generate. In case of govt.departement like subzi mandi in pathankot (punjab). Where there is a responsibility of market comitee to clean the subzi mandi every day. but the department is no more concern abt this. the waste fruits and vegetables are dumped in between the roads of mandi. but the departement is not even 10% interested in cleanness. I hope the govt should impose strictly this plan first on these govt departements. Respected PM Sri Narendrabhai Modi. We being Indian Citizen Proud to have a visionary and result oriented PM like you. 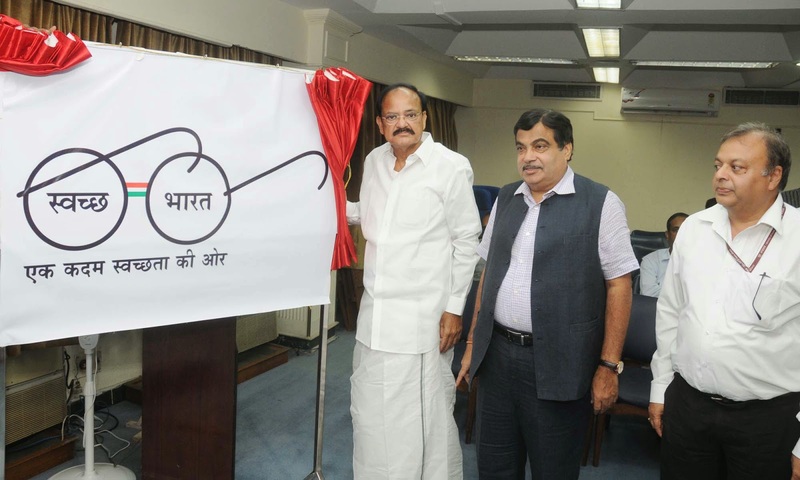 Also overwhelmed with your recent initiative to make our home – our nation clean with ‘SVATCHA BHARAT” Campaign as Shri Mahatma Gandhiji always had dreamt about. 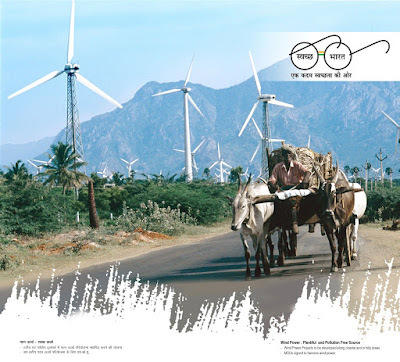 It is to share as a member of our big family – Nation that at one hand you driving “SVATCHA BHARAT” Campaign, Nation wide, whereas on other side few Business House namely PRATHNA BUILDCON PVT. LTD. Ahmedabad, Gujarat, not even considering the Chronic issues like drainage leakage and overflow in the Building Premises with approximately 150 residential units at “ Prathna Greens” developed by PRATHNA BUILDCON PVT. LTD. Under Survey no. 635, T.P. Scheme No. 9 (Vasanahadmatia-Sargasan-Uvarsad-Tarapur) at Sargasan Cross (KH) Road, Gandhinagar. Gujarat and been overlooked by PRATHNA BUILDCON PVT. LTD. This Problem of Drainage leakage and overflow may cause in severe health and hygiene related problems. Inspite of the several complaints by residents of “PRATHNA GREENS” to the MD of PRATHNA BUILDCON PVT. LTD. Mr. Jagdish Thakkar (Mobile: +91-98250 68731) and their representative at sitting at the “Prathna Greens” booking office Mr. Girish, there is no remarkable action on this issue. While people of India has supported Swach Bharat momentum at large, there are group of people who does not believe in this concept. Prior to I describe about one the group of people, let me put it in my words that what does it mean to “Swach Bharat” for me this mission is cleanliness drive to keep our environment clean & hygiene, for us, our child & our near n dear ones which means for me is no diseases, better health for us; in short a healthy India. something needs to be done with regard to Spitting on roads and chewing gutkha and pan. ppl driving vehicles they keep spitting from the windows which falls on the road with a splash of road. This should be made a punishable offense. I completely agree with most of the above comments provided by my fellow Indians. I was searching for a place like a website or an email id which can be used by all of the Indians to give our suggestions & views as to how together we can achieve "Swachh Bharat" within the specified period of time. As a common person I observe so many atrocities done by people, but do not know where to complain regarding the same. 1. I see people spitting on the roads from buses or from any vehicles. They don't think that it might fall on other people or they are dirtying the place. But I feel like talking to them & telling them that is wrong , but I am scared as I think they might hurt me. So if every citizen was given authority to complain regarding the person doing the wrong things then each of us will be afraid to do any wrong thinking somebody might be observing. 2. I have seen people breaking most of the traffic rules, but how can a common man who sees this can complain? 3. Garbage is not segregated in any houses even though they have introduced the segregation methods. The garbage collectors who come to collect garbage, themselves dump it in some open place like a road end or so & go. so we need the separate collecting bins (recyclables, Wet waste, e-waste )for the each society.It should be made compulsory that every household dumps each of these separately to the respective bins. 4. Most of the public toilets are very dirty. Even though it is a pay & use toilet it is dirty. Please provide us with an email id or a suggestions/ comments page to send our genuine problems and views which can be used by the officials to solve the problems reported. 3. There are one time cleaning stops, which list should be made by civic authorities. So that events can be conducted on those list so that civic authorities will be responsible after the event. 4. First take up public places like Bus stops, Railway stations, Schools, Colleges, Markets to show immediate results by which more people will be enroll in the drive. 5. Govt should introduce more dust bins and increase staff with little higher pay to clear all the dustbins regularly. 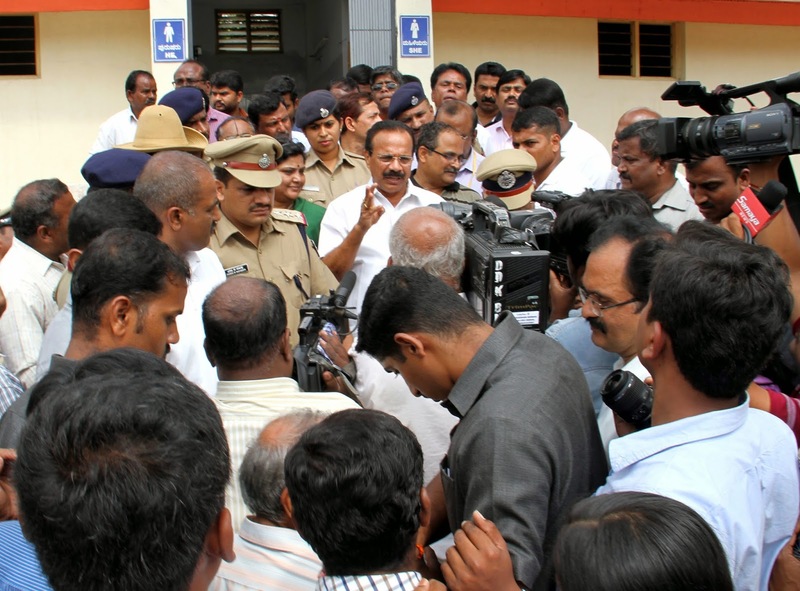 We are also taking this Swachha Bharath ahead by having started at our factories - Peenya, Dobbaspet & Mysore. 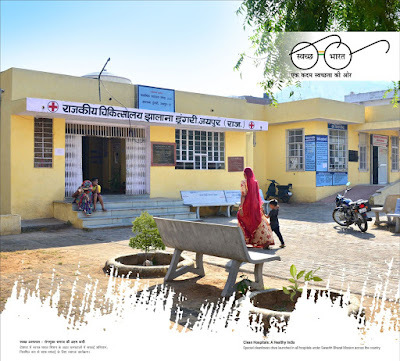 We got the entire area cleaned- Outside our factory, our compound wall & even the opposite one and have got the walls painted with Swachha bharath message. I just want to know that if someone who is increasing impurity and if somebody stop him then he says who only you are stopping to me , there is lots of people they don't have any issue then why you telling. and police also supporting to him. Sir nobody is readyto help, they are telling that why only you are complinting you, I gave your example that only Mr. Narendra modi ji start swach bharat mission they did't wait for any one. Sir if you feel that I am right please do something to support me. Hello Mr. Modi, I have always been you fan and with all such initiatives, I simply salute you. I hope that people understand the way importance of cleanliness and everyone in the Country takes the initiative in this Abhiyaan. I want to highlight an important point that I live in Noida and no one even from the municipal corporation comes for cleaning our surrounding. I have never seen any staff member to take care of the issue. I am trying to figure out the complaint procedure but in the meanwhile I want to request you to reach out the government in UP to take care of this issue on serious note and please take such initiatives in this regards. I'm from Ernakulam district in Kerala, where waste management systems are very poor, especially with regard to household wastes. People throw food and non-food wastes at an irrigation canal in front of my house located to the East of Pamba Electronics, Kureekkad (Pin Code - 682305). This area comes under Chotanikkara grama panchayat. It is a threat to health. Wish our panchayat officials could find a permanent solution by making mesh walls to prevent people throwing wastes into the canal. Cleanliness is a continuous process, and I suggest/request that a defined percentage of the mandatory corporate CSR spending be directed to cleanliness mission - Corporate money will always be needed to create as well as sustain waste management systems. This Abhiyaan (Swachh Abhiyaan) is become a new way of promotion person , movie etc, some one need to run this abhiyaan as an project, every area , region, hospital, temple etc need to be given to some responsible person and they need to be monitored continuously, and they should get help from local administration. Its a very good initiative and I am proud to be an Indian. 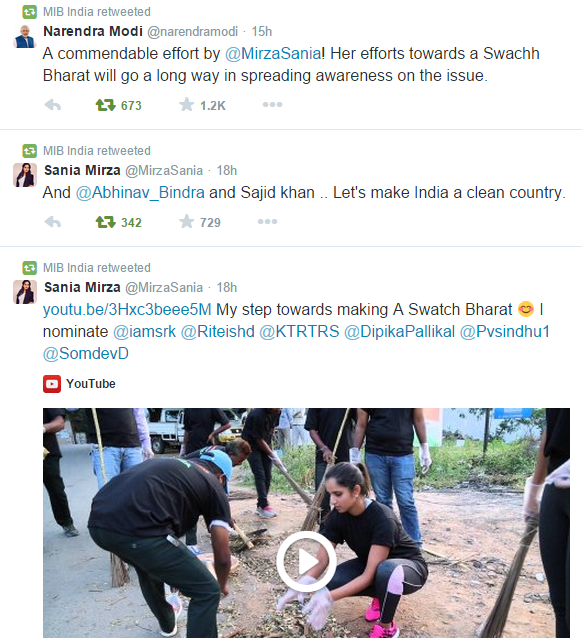 My simple request to celebrities & NGO's who have taken swacch bharat abhiyaan- clean India movement. Can someone also donate 2 bins after every 500 meters? Every shop keeper needs to keep dustbin outside or within his premises on odd/even dates. In Parks & Public places- Companies like Adani/ Reliance/ Tata to provide plastic bins in the cities or around 2 Km radius at their offices across India. PAN-GUTKA to be banned across states. I Mr.Yatin Joshi, Resident of Pratham Shrusti, Gorwa would like to be part of this initiative of "Swacch Bharat Abhiyaan". We have started cleaning our areas nearby in respect to this initiative, but unfortunately there are no Bins kept in our area due to which our plans have back fired and people have started throwing garbage on roads. Kindly help us get Dust bins in our area so that this dream of our PM Shri Narendra Modiji could be fulfilled. 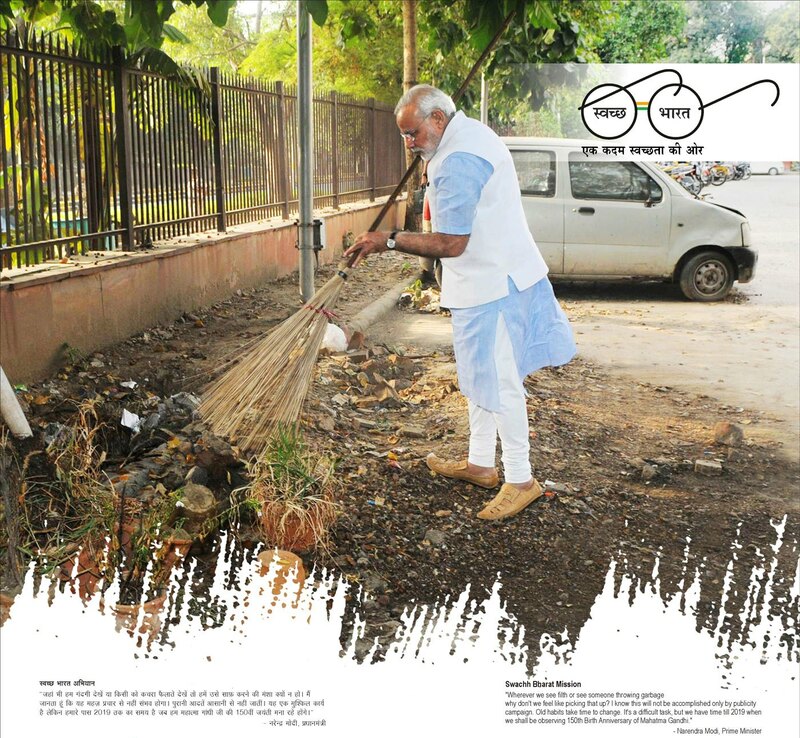 Swatch Bharat Abhyaan is a wonderful drive of our beloved Prime Minister. But, this drive can't be successful if the state governments and the municipal corporations don't co-operate. In my residential colony " HIG-Duplex Colony, Chander Nagar, Ghaziabad ", the municipal authorities are least bothered for cleanliness. In spite of my personal requests to the area corporator, no arrangement has been made for stoppage of garbage dumping behind my house and for cleaning of the storm water drain, which has not been cleaned for the last four/five years. I hope the Ghaziabad Municipal Authorities will realise the importance of cleanliness drive initiated by our Prime Minister and take immediate action for above. 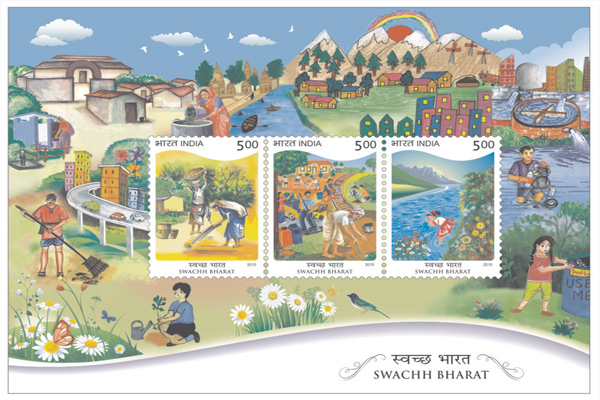 I want to be part of "swatch bharat abhiyan". I was already started cleaning in my office & home area. I m interested to occupy more area, in this matter I need resources for campaign. THIS PROGRAMM STARTED ON NOV 2 1014 ON NEW DELHI THIS PROGRAMM MAIN MISSION IS CLEAN THE INDIA AND DREAM OF GANDHIGI, NARENDRA INVITED THE FEW PERSONS ACTORS POLICTICIANS AND STAR STATUS PERSONS . TV CHANNELS ALSO MOSTLY GIVEN THE PUBLICITY OF THE PROGRAMM . SANIA MIRZA , NAGARJUANA , SASI THAROOR , SALMAN , RAJINIKANTH, CHANDRA BABU NAIDU, AND JAMMU KASHMIR CHEIF MINISTER OMAR ABDULLA ,BOLLYWOOD STAR AMITHAB BACHHAN , SO NARENDRA GI APPRECIATED EVERY ONE. HE CALLED THE EVERY PERSON DO THE PROGRAMM AND INVITE THE 9 PERSONS . GOVERNAMENT ALSO PROVIDE LAKH OF RUPEES ON THIS PROGRAMM EVERY THING IS OK. MY OPINION IS IF CITIZEN OR SHOP KEEPRERS, HOUSE RESIDENTIALS , TOTAL PUBLIC IF DOES NOT FOLLOWING THE CERTAIN RULES SHOULD IMPOSE THE FINE ,LIKE TRAFFIC FINE , EVERY ONE CAN FOLLOW THE RULES. 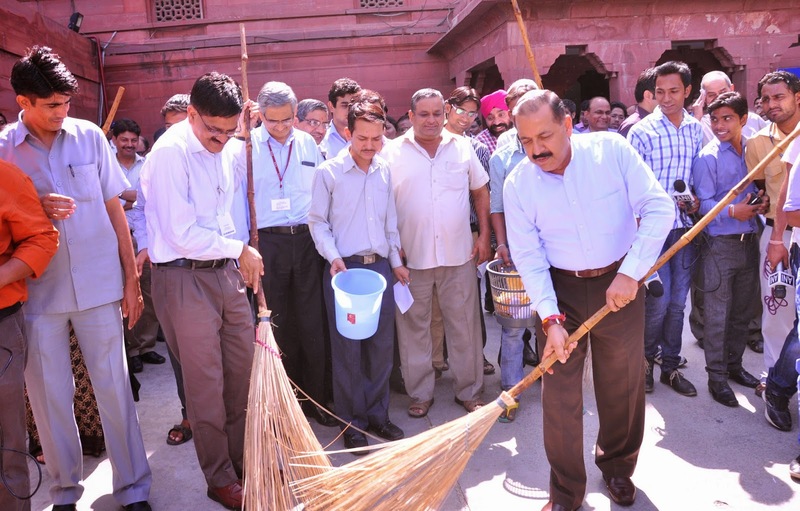 Swachh Bharat Abhiyan kicked off on 2nd oct 2014. 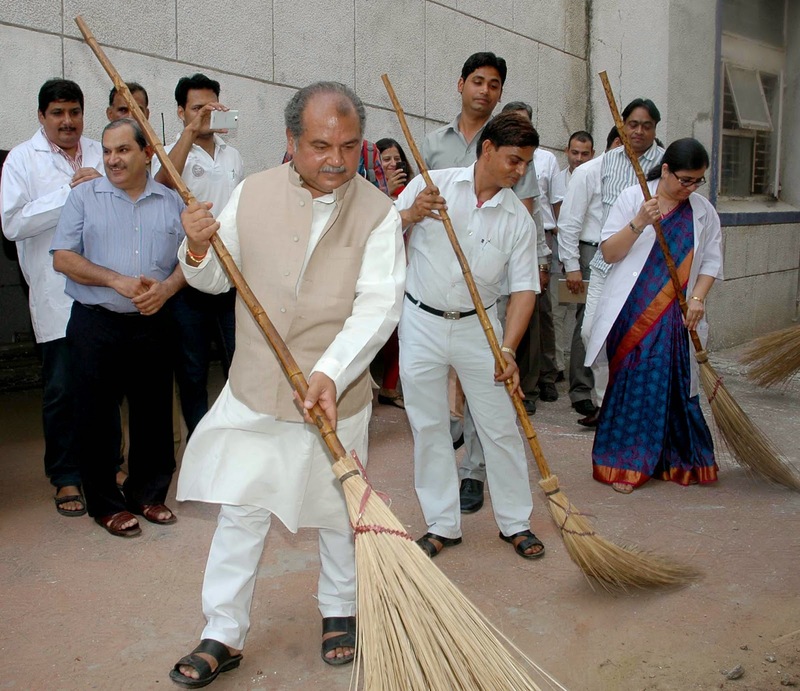 Since then, I have seen numerous photographs and videos where celebrities armed with a broom in their hands have hit the streets as part of their contribution to the campaign. But i am yet to see anyone with ‘use me‘ bins in their hands instead of the brooms. Of course I am not a bit surprised by their drama, for apart from a theatrical exhibition of their meaningless exercise of brooming the streets for a press photoshoot, their contribution to the clean India campaign ends with the other task of nominating 9 similar minded celebrities to spread the campaign- the nomination method made universal by the ice bucket campaign. May i mention here that we need bins more than we need brooms. The more the bins on the streets, the lesser will be the need for brooms. Prevention is better than cure is known to all of us but never followed. Tea, already a favourite beverage amongst Indians, has attained an iconic status thanks to the architect of the present campaign - our present prime minister. However, across India, tea is sold in trains, on railway platforms bus stands, street corners, gardens and parks served in paper cups, bhanr or sikora which are just disposed by the common man in the open either chucked by the brazen in the middle or guiltily tucked in some corner by a relatively civilised person . In towns and cities pan India, thousands of hawkers sell food on the streets either wrapped in newspapers or served in banana leaves or paper plates. Our own city of joy is no less guilty by the almost ubiquitous presence of muri walas and puchka walas at practically every street corner. Near the malls and markets it is a common detestable sight to find litters of empty chips and popcorn packets, cans, cigarette butts, tobacco sachets and even remnants of half eaten food. A small step may be taken by the govt, ngos, para and rotary clubs, corporate and individuals jointly towards providing bins to these hawkers, educate them the values of hygiene and to ensure that their customers drop the waste into the bins only. Of course it needs to be followed by regular daily clearances of these bins to the demarcated garbage vats/stations of the area. Other than this, the malls, commercial and shopping areas should have sufficient bins for the citizens to use. Also one must ensure that these bins are emptied at required intervals so that the bins are never full.. Believe me it is not as ardent a task as it sounds. For a country which can boast of an example of exemplary delivery system as the Bombay dabbawallas, scientific movement of the garbage from the hawkers bin to the ultimate disposal location would be childs play. Let us kolkatans along with other cities make our first step towards a clean india. 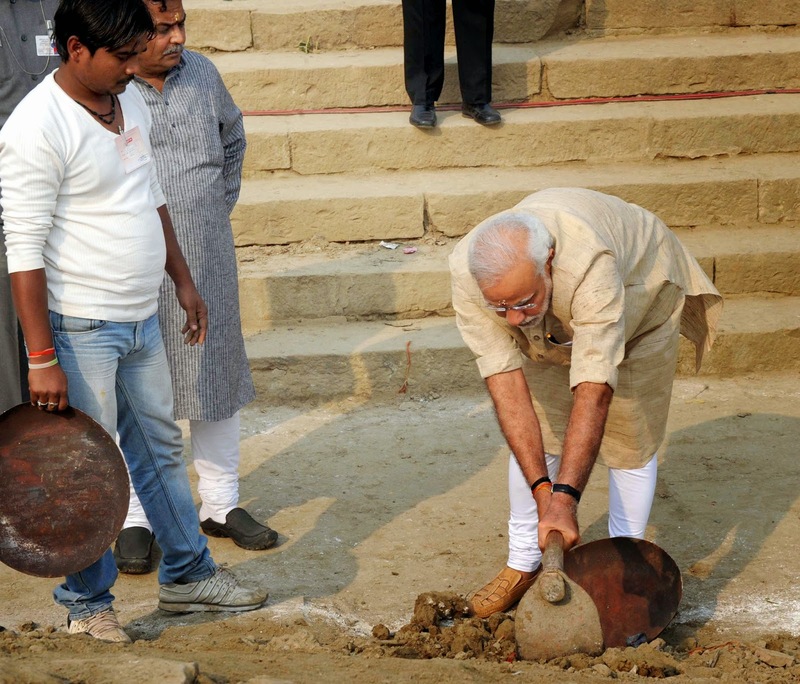 Building of toilets and cleaning the Ganges may be left to the government for a cleaner India. Let us pledge not to litter or pollute. 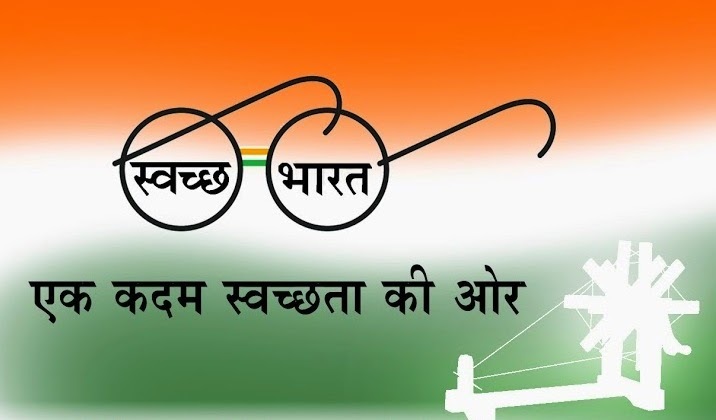 I have some plan in my mind related to this Abhiyan that is "Swachh Bharat Mission " & to execute we need support of " BHARAT SARKAR"
please avoid using plastic bags, main source of garbage production...Can sustain for over thousand years.If we can avoid using that, half of the garbage problem will be solved.apart from that. polybags are dangerous to the nature.Its applicable everywhere in this world.nowadays everybody using polythenes and its not dissolvable and not mixed with the soil.Animals are dying by eating these, its creating poisonous fumes if burned and also choking the sever lines and blocking the underground lines ,a major cause of flooded streets during rainy seasons .50 percent of garbage is forming because of these poly bags and polluting our nature. So for swacchh Bharat mission, we should take a pledge to not use the plastic bags...JAI Hind..
swatch bharat mission needs to be brought near to people.The awareness campaign should be supplemented by micro level view of the movement. 1.There should be a network of large and small dustbins. 2.Municipal bodies should be given more funds so tha infrstrutures could be strenghtened. 3. Municipal bodies should penalise anyone found littering or even spitting. Make it an offence ,on the spot challan will deter people from littering public places. 4 Singapore is an example.At one point of time it was one of the dirtiest cities of the world and now it is one of the cleanest. 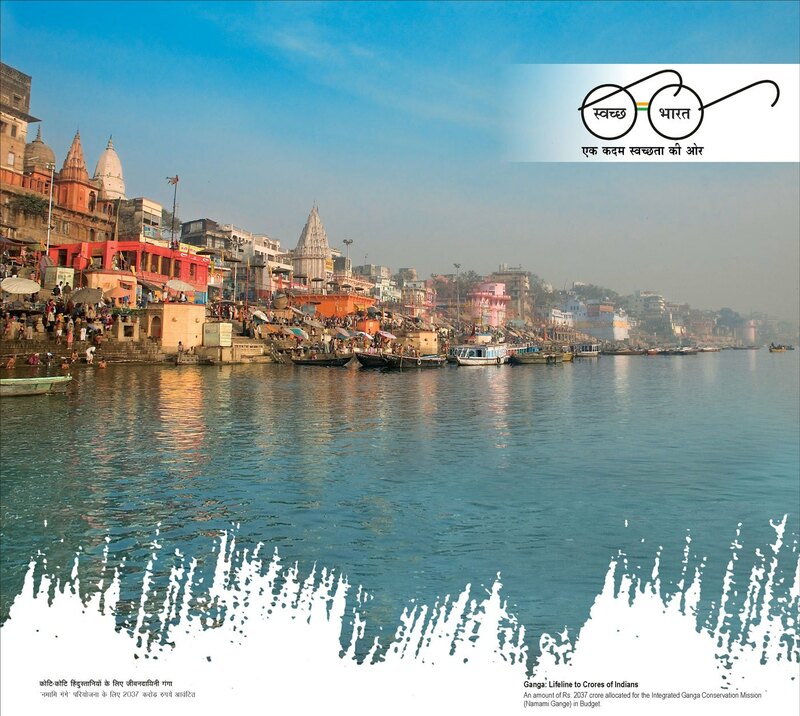 Swachh Bharat mission is the first of its kind sensitisation in India where every citizen of India got sensitized of cleaning their own surroundings. Though it is visioned by many leaders, it is this Government that has brought the vision into action forward.I congratulate the efforts and proud to be part of it. The fever & fervor should not come down as the days go by.Every citizen of India I request to be conscious about their own and surroundings' cleanliness.., The school children need to be trained and educated in this more and more . Warn people who trash, spit or urinate on the streets the first time. For the Second Offence, penalise them with fines to a tune of Rs 1000/- or more. Subsequent offences should be treated with a Jail Sentence. Only such strong measures as adopted by Countries such as Singapore, Malaysia, United Kingdom and USA can act as a deterrent. The common man on the Street should have the right to question the offenders and bring them to book. We cannot have a law enforcement agency to watch every person on the Street. Creating awareness and building the necessary infrastructure has to be the main focus. Only when we have enough Dust Bins, Toilets, etc in place, we will be able to enforce the rules. Don’t throw it into the street, into the woods, into the rivers, into the seas! If you throw trash away, it doesn’t go away, ever. Trash comes back, in so many ways, and none of them good. In the Clean World everything used is sorted and that’s how we reduce trash. eliminate landfills and view trash as a valuable source of new resources. 3. Don’t throw anything away. Anything! When something is broken, try to fix it! If you can’t, then recycle it! could be valuable elsewhere. 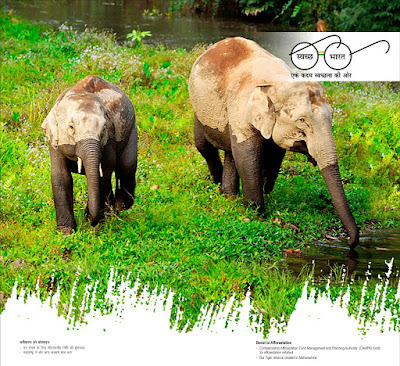 Think, before you dispose. Food leftovers should not be thrown away, but composted. In the Clean World there is a compost next to every house for every community. 6. Consume only as much as you really need to! In the Clean World people regard consumption as the last resort. Repair as much as possible. Don’t let fashion or technology affect your opinions. 7. Avoid using disposable products that generate trash! Glass bottles filled with drinks really are environmentally ‘better’. Instead of plastic bags, use bags made of fabric. Products are consumed more reasonably in the Clean World. 8. Buy trash free products! Avoid products that are excessively packaged. Choose to buy durable products that will last. In the Clean World there are totally recyclable products. 9. Support environmentally friendly legislation and actions! from farmers’ markets or directly from the producer. Cut out the marketing and packaging. In the Clean World we buy responsibly. 10. Co-operate with others by suggesting alternatives! Be yourself but make sure your friends can see your example. In the Clean World everybody is responsible. Be different by making your friends enjoy the Clean World. 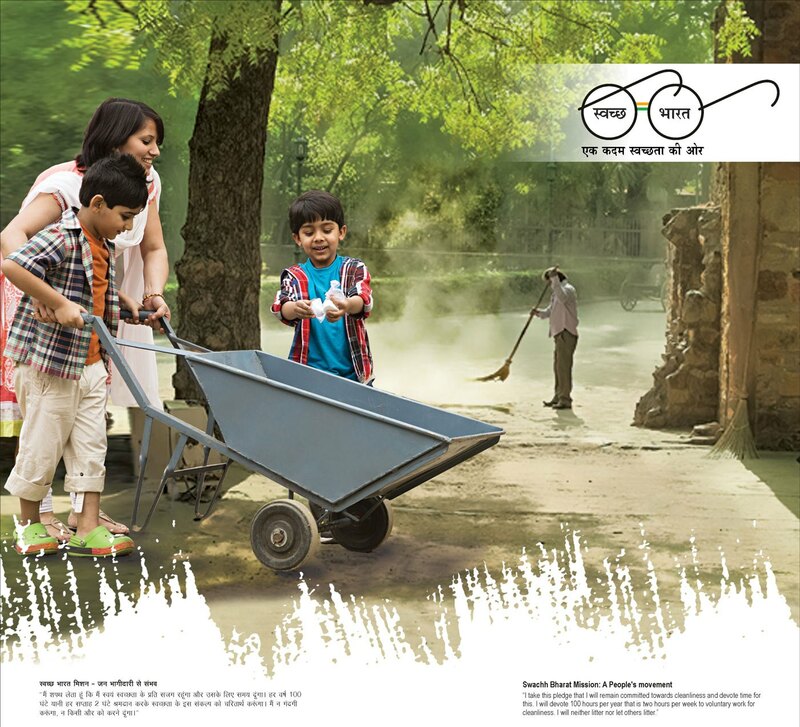 Swachh Bharat Abhiyan is getting supported by corporate sector as part of their CSR to a large extent. It is also of utmost importance to look towards the sustainability of the initiative otherwise the momentum gained would yield no result. Each individuals support will add on to the success of the initiative. Swacha Bharat is target of my life a resident from Chennai - Gopal Sarawagi but sorry to post that the garbage what we put in a plastic bag daily to dispose that plastic bag we are forced to pay some tips daily to the people who are appointed by the Goverment for collecting garbage. It is very sad to say that. The mission is directly proportional to infra installation. I hope the the Govt. will consider it seriously. There is a major probability to be enhanced the infection and disease issues. Proud to be an Indian always and also extremely proud to join hands with our Honorable Prime Minister on each of his campaign to take India forward !!!! My humble submission is that The youth from colleges should be asked to adopt villages/ Gram Panchayats in their area, form groups and spread awareness regarding the danger of Open Defecation found in villages and frame a system of monitoring to check the practice. Firstly, analyse the issue by delving into the reasons for such bad hygienic practices followed by the villagers and try and address them by ways of creating awareness campaigns and also check with authorities regarding the provision of toilets etc. The youth have to be educated on the importance of RURAL DEVELOPMENT and this may be made mandatory in all educational Institutions irrespective of their status.. Lets inculcate the feeling of ownership and commitment in the minds of the youth towards the land they belong to and refrain them from expecting everything to be by the Govt.Cheers to the Programme...! On 7th Nov 2014 Mission clean Rewari mobile app has been launched, it is a real time civic engagement platform empowering Rewari’s people to be community heroes and report neighborhood issues from their smartphones. Within 5 days more than hundred problems submitted by rewari’s people, it is considered as a smart and effective move to make your city cleaner and to keep up the spirit of Mission Swachh Bharat. Mr. R. C. Verma (Deputy Commissioner Rewari) requested people to contribute effectively, he would personally monitor the website http://missioncleanrewari.com/ to successfully resolve the issues submitted. We did our best & will do. 1. EVERY SHOP/STALL SELLING EATABLES/PAN/ETC. SHOULD KEEP A DUSTBIN IN FRONT IN THEIR SHOP. A PENALTY/FINE SHOULD BE IMPOSED IN ITS ABSENCE. 2. THERE SHOULD BE ENOUGH DUSTBINS IN CROWDED PLACES. Dear sir, I am from Bangalore. I want to see a cleaner India. 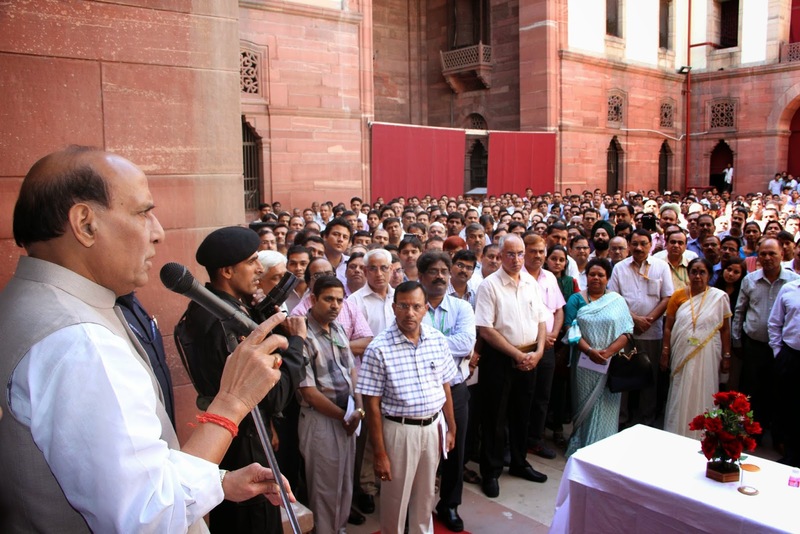 I want to join hands with government and help India accomplish this goal. 20 years later my children need not feel like going abroad and settle there claiming India isn't clean. The Swachch Bharat Abhiyaan is a brilliant idea. This has to succeed for India to become clean. And all indians need to participate in this. But I have some concerns. A lot of people don't know where to start the abhiyaan. Like, they don't know which place they should begin with. So in my opinion , government should help such people in finding places that need cleaning. You can say, start with your street. But that's not easy. I alone can't attempt it. If there's a group created online or through a government office then this group can act with more planning, spirit and timely. Also, government should suggest or make available equipments necessary for cleaning littered places. Such as gloves, brooms, dust pan etc. 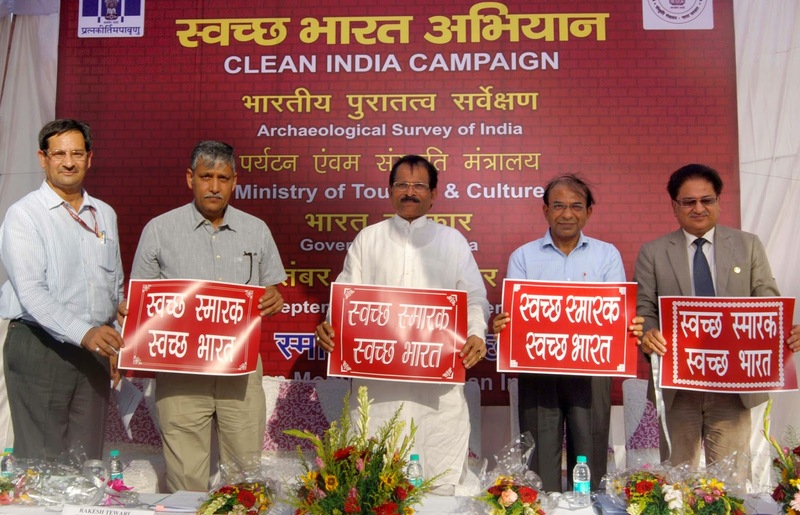 A swachhata Center should be opened in every major section of the cities and towns. These centres should take responsibility to create voluntary groups through campaigning and door-to-door visits. Should guide these groups in all matters of cleaning, such as deciding place, no of people required, duration, handling/disposing collected trash, water or bathing facilities post cleaning. I am very much eager to remove garbage out of my area in Bangalore. I want to do it with my own hands. But I can't suddenly start the activity with a broom and dust pan in my hands. I will be considered a fool. I appreciate this mission of yours, Swachh Bharat Abhiyan. But, I would like to ask you that what are the steps that our government is taking for the disposal of waste, and solid waste management. I suggest the installment of separate dustbins for bio-degradable and non-bio-degradable waste in our streets, roads, corners, circles etc., which I assure you are not there in majority of the country. Also, what is our government doing to recycle the huge waste dumps near cities? Also, I strongly oppose the use of incineration plants for that. Please shift the contracts of these dumps from the current corrupt contractors to some really good NGO's and individuals who know better ways to dispose them off. I hope my comment is recognized by you and it would be higly appreciated if i get a reply. We really appreciate the initiatite made by our honourable PM. So putting this problem to show some real picture. This is to bring to your kind notice that the residents of girls hostel at Jaipuria Institute of Management, Noida are facing severe health issues due to the emission of smoke by burning of garbage at the empty field just besides the campus. If this area is not residential that does not mean that some of us who are actually residing here have to suffer and get hospitalised or medicated time and again due to the negligence of the government authorities in power. This issue might seem casual to you all but this is causing too many severe problems to the 138 residents here as well the staff members. 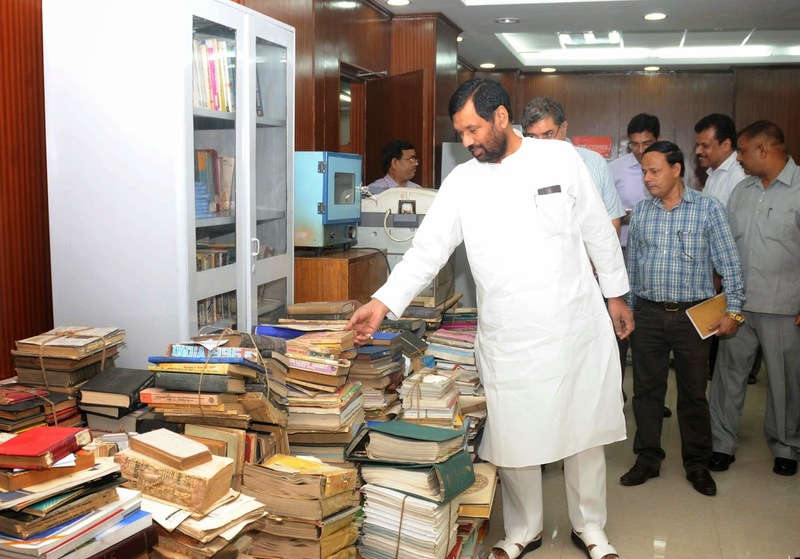 Sincere requests have already been made by the Jaipurai authority of the institute but no action has been taken yet. Rather the problem is increasing in the form of increasing emissions each day and is making us suffocating. We residents are not even able to breathe and are almost dying. If NOT,Then pls tell me where I will go for JUSTICE. My area is highly contagious due to storage of lots of cow potty. My Neighbour Mr.Sailen ghosh has one illegal cow garage totally polluted our area. Very small place but 10 to 12 cows & buffalo are there. They are not cleaning the area, all time bad smell surrounding the area.And all time in front of my windows cows & buffalo are shouting.This is very problematic situation for me.Even we are not open the windows for that side. And most dangerous think is that Mr.ghosh doing another business of GHUTE(made by cow potti)at in front of my house.they are blocked the public road with storage of cow potti and GHUTE. This business is a cause of smell and air total environmental pollution.Due to this we are effected from MOSQUITO bites. There is no drainage system. It also effected on us. This area comes under RAJARHAT-BISHNUPUR 1 NO GRAM PANCHAYAT,Kolkata-700135 And OUR RAJARHAT POLICE STATION NEWLY added BIDHANNAGAR COMMISSIONAIRE . IF YOU COME HERE THEN YOU WILL COME TO KNOW ABOUT THE SITUATION OF THIS AREA.. This is my request to you to please take it seriously, because peoples are now getting effected due to lots of mosquitoes. Hygienically its not good. I hope you should understand my problem. pls do something for me. PLEASE I AM WAITING FOR YOUR REPLY. Anybody CAN HELP ME PLS. I am working with Radisson Blu Marina, Connaught Place.Recently Sawach Bharth drive by our hotel all our team members cleaned the back area, which basically comes under NDMC. We collected the garbage lot at different places.Now the point is who will pick that garbage from NDMC area. The NDMC people are asking for some amount of money, which basically is not right. But the advertisement coming in in Kannada language is killing the language. Please get the proper wordings and provide the same to channels. It's a great initiative by our Hon. Prime Minister. But i would like to say (Whatever I have seen so far) that No one wants to put garbage on the road/public place but they are forced to do so because there is lack of infrastructure.if there will be dustbins installed at every 200/300 mts, pleople will automatically put garbage in the dustbin. i have seen people search for dustbin and when they don't find they throw it on road wherever they find convenience..MY REQUEST TO ALL IS Co-operate with others by suggesting alternatives! vision. Truely,It's a very admirable deed geared up by H'Able PM. I ONCE AGAIN THANK ALL FOR THIS WONDERFUL PROGRAM.AND WOULD LIKE TO PARTICIPATE. I want to give an important suggestion to keep clean railway station and railway track. As you all know that there is no facility to dispose waste in any train. So people normally throw there waste outside the window which results filthy stations and track. 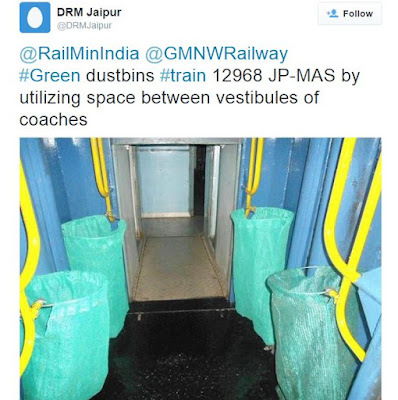 So there must be well maintained dustbin in every bogie. And must be strict penalty for everyone if they throw there waste or spit on track or station or road or park or office or anywhere in India. But for that there must be a dustbin in every 2-3 km of distance. I have just one question to the honorable Prime Minister...what after cleaning up? What will you do of the waste that is collected. Open dumps are a major problem in most of the cities which give rise to ground water pollution, communicable diseases and stink. Moreover, the value of the land nearby also reduces. Has the ministry thought about what do we do of collected waste? 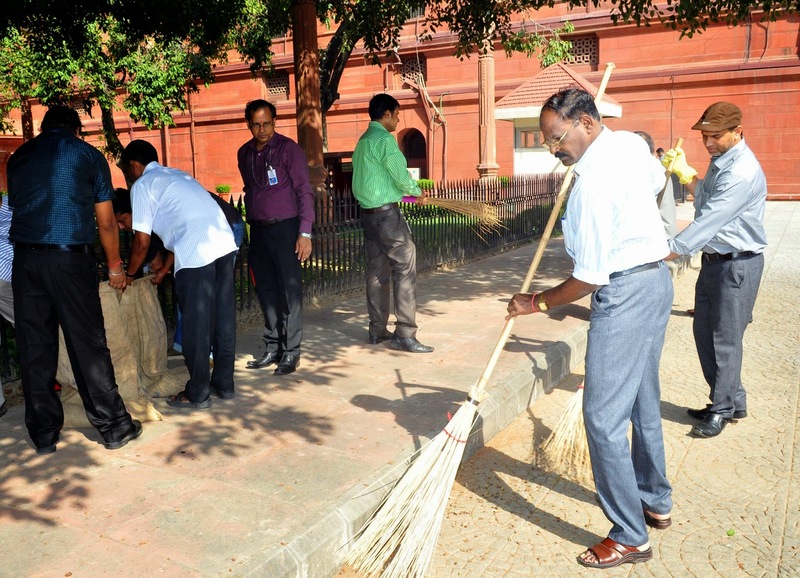 I have seen all the ministers and media personalities jumping on streets and cleaning them. But tell me what happens afterwards? There are various methods by which waste can be converted to energy be it ethanol or electricity which have been employed in countries like Sweden. Sweden actually buys waste from Norway and its neighbours to generate electricity and we have so much of waste. Can't we do something on similar line? Any questions are welcome. 1. Please have stiff laws and hefty fine for dog owners who walk their dogs on the streets and leave their poop behind. It happens in best of residential areas. 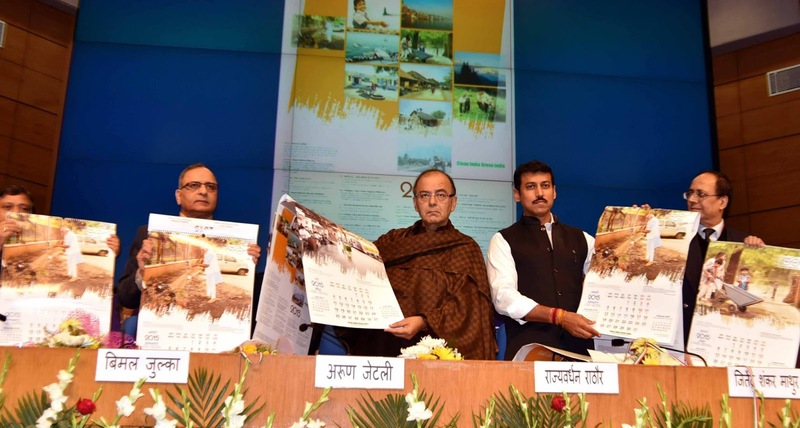 this initiative has brought a lot of change in the country . but Railway Station are still very dirty . I myself saw 2-3 persons doing urine on the NDLS ( New Delhi Railway Station ) on 28 November 2014 on 9:00 PM . Please take rigid action to make people aware . This is very good initiative. 1.We have introduce Red Bag / Green Bag / Blue for the Garbage. Green Bag - All the recycle items such as paper etc..
Blue Bag - All the toxic items. 2. We have to create Sewage treatment plant for each area / city / Village & move all the waste to that. amazing Initiative and I wish you all the best for this. I would like to congratulate your for getting this initiative and getting so many great people, leaders involved in such great initiative. First problem is about the infrastructure and maintenance of the same. Your initiative of having toilets is great what about the water, cleanliness required. Such initiatives fails due to lack of resources required. Also, the mindset of the our Indian citizens have to be changed either through media program and this is where NDTV or the Ambassadors have a key role. We do understand that its job of everyone and we do make sure to take care of our country. Recently, some pics were floating on social networking where big names who cleaned the small space were wearing gloves, mask and don't know how many times they might have used sanitizers and have taken bath. Not fair. Be a conman people and do the things and regularly. Think of the people who leave their living by doing such dirty jobs and without getting a single medications. Last not the least, i salute you for getting very aggressive and bringing this initiative to every ones attention at country level. Request will be please dont stop, we all support you and we will work with you. I have idea about how to keep india clean. it has 98% guarantees of succes. also it will create employment in many area. I need financial support and permission to impliment my idea. 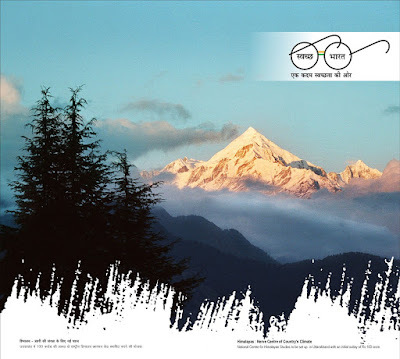 I am intrested to keep my india clean but if you are intrested please tell me so that i can submit project to you! I have seen and experienced that housemaid's absentism makes responsible woman loaded with household tasks. In your promotion; Why don't you teach children especial males to clean used plate, bowl, spoon and glass after meals. This work is considered generally inferior to men. But in a photograph I have seen Mr. Narayan Murthy(Former Director Infosys) cleaning his plate and helping in Household work. This will help in minimizing gender disequilibrium, exploitation of unskilled workers like housemaids. A Lesson of Independence can be tought along with empowered household too. 1.Fastest to make by end user him/her self a few hour is all it take for 2 people to make & use next day. 2.CLEAN & Easier to keep clean. 4.Corruption free as delivered to end user directly. 6. Basic construction avoids too much dependence on other workers. 7.Most acceptable to Indian Climate/ topography/ environment etc. Kindly contact me as its very urgent & will make "Swachh Bharat" a Reality too soon then any other toilets can. Let`s create the world for our super heroes. The street cleaners to the society. Wtch How Brazil did it "Across the Globe"
Please educate all PWDs throughout India to replace open & waterless urinals for men on the roadsides, with dignified enclosed Sulabh-type conveniences for both men and women. The stink, public nuisance, and public health disaster that the former constitute is a slur on the PM's campaign for a clean India. It is also necessary to educate men to more dignified and responsible ways of personal behaviour. 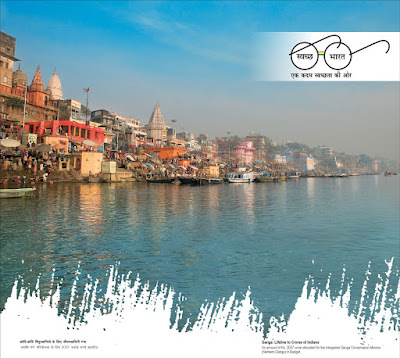 Please note also in the context of the Clean Ganga campaign, one such open urinal directly on the Ganga, on the way to the temple in Gangotri is an abomination in the face of the pilgrims who visit the glacier regions with great devotion. The very sanctity of the region is destroyed in the face of the lack of civic sense and hygeine in the great Himalayan shrine. Similar open urinal is at the main square, opp. to the Triveni Ghat Gate in Rishikesh, Uttarakhand. Will the authorities please wake up to modern-day concerns of public health, privacy and dignity in civic spaces, in the place of current sops to male impunity in matters of hygeine as a prime example of bad governance? Since nov26th i am trying to get in touch with someone capable enough to help set up a toilet production unit, from the government side. Even an interest to know more about it is still missing. The concept is excellent & this will change the Toilet making it will be as easy if its by magic. The poor man will do it all by himself with no help required in matter of hour yes it will be more durable then regular toilets. Only Recognition for this & i will dedicate the concept to the Nation. Advantages of This toilet Easiest to Make. 5. Its an opportunity that will change the concept of Toilets in India. 6.Make in India & Made by India For World. 7. The whole world will ask for it. Kindly Give me a chance For India!!! When OFFICERS Residential Quarters of SCR itself are causing nuisance by leaving water to the public road they must first stop spreading their own dirt before trying to pose them self for photos in newspapers - krishna please if one responsible officer of South Central Railway read my comment and take necessary action I shall be highly thankful to SCR. sir my name is sachin kumar form delhi my address h.no-232, street.no-3, prem vihar , karawal nagar, delhi-110094, i want to inform to regarding Swachh Bharat Abhiyan my street is so tidy bcoz my neighbours has lot's of buffalo. so many mosquitos are generate in this street. please cheak out this street. so many people die in this street by mosquito. when then you responsive . you don't take a action. MCD ward no 265. We appreciate the initiative taken by the Hon. 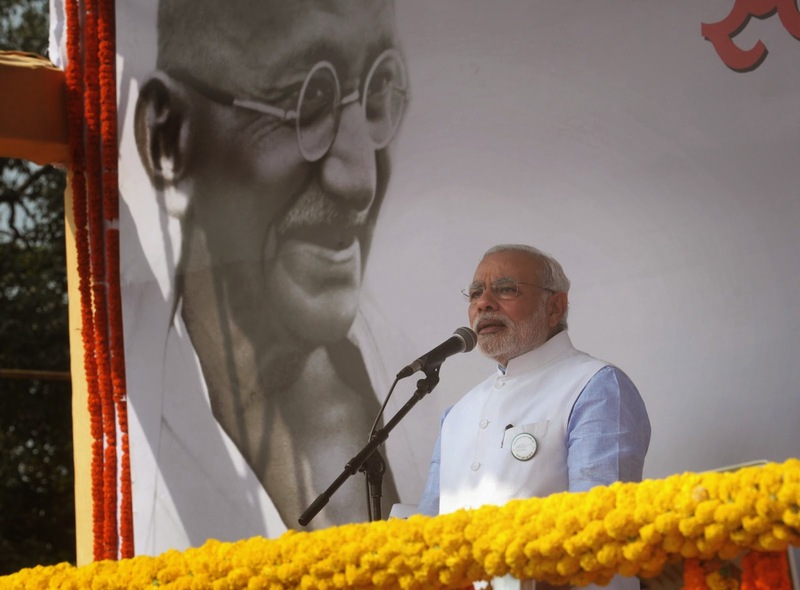 Prime Minister regarding this very important problem that plagues India. It is a powerful move to bring about a better tomorrow. The main problem though is that a lot of people do not take cleanliness seriously. I am a resident of bansdroni area in Kolkata. In front of our apartment, we have a deserted land under the Metro Railways in all likelihood. As the place remains deserted, it has turned into an open defecating and urinating ground for a lot of people. Recently some of the flat inmates questioned one such miscreant. Instead of being ashamed of his actions, he started threatening us and came and urinated on one of the exit gates of the apartment. This has really disturbed all of us as raising a voice against such nuisance has led to this with people flouting every indecency in trying to prove themselves right. Richmind Softlabs - Software, Web Development ,design,seo,logo design Company in Jaipur. PLEASE CIRCULATE IT AS NO MEDIA IS READY TO DO IT. The major success can be achieved if this cleanliness is fed to minds of everyone. I am from CHENNAI. Chennai Central is the most important place where around lacs of people crossing everyday. But the way from chennai central to park Station became open toilet for most of the people and we can't avoid closing our nose while crossing. The govt can make some strict initiatives to control these sort of activities. 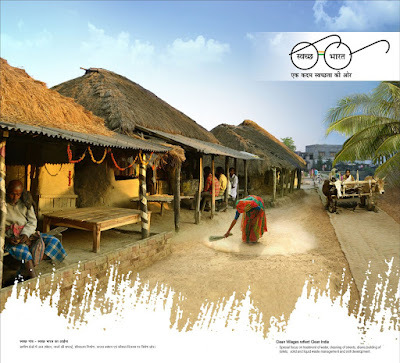 Hope we achieve our goal "CLEAN INDIA". 1. गुरुद्वारा के पास डॉ. डी. के. बंसल के मकान की पूरब दिशा की गली में नालियों का पानी रस्ते में फैलता रहता है, जिसके कारन गन्दगी, कीचड, मच्छर बने रहते हैं . 2. क्यूंकि गली में एक माकन मालिक ने नालियां बंद कर राखी हैं. उसके घर का पानी और दूसरी जगह का पानी गली में आता है. wow ... Nice place, Thanks for sharing!! Good Job. Hi I am a 10th grade student, and I strongly believe that Swachh Bharat Abhiyan is the movement that is necessary for India. I would like to enclose my view on the same. Can India do a Sweden? If you have ever driven behind a garbage truck in Mumbai, you will know how frustratingly slow they are. Four hundred and thirty of these huge garbage trucks are deployed in Mumbai every day, and every day they gather a total of 6500 tonnes of waste. 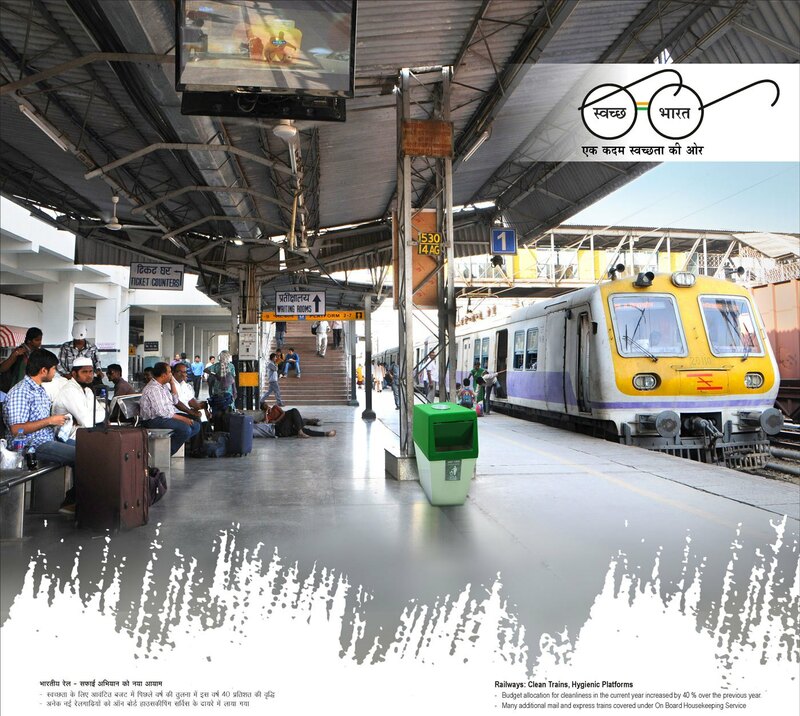 This waste goes to one of three garbage dumps in Mumbai, located in Deonar, Mulund and Kanjurmarg. Of the waste that is produced in Mumbai, 54% is wet organic waste, 15% is dry organic waste, 19% is recyclable waste, and 12% is inert waste. Every single one of these categories of waste has the potential to be reused or recycled. Recyclable material consists of paper, plastic, etc. As the name suggests, this category of waste is fairly straightforward to reuse. Organic waste can be reused in the shape of biofuel as a form of energy, and could be used to power residences as a renewable energy source. Inert waste could be reused in construction and for other purposes. To compare with some global examples - Sweden recycles 99% of its household waste in one way or the other. In 2012 alone, Sweden burned over 2 million tons of waste and converted it into energy. The 32 incineration plants that are present in Sweden produce heat for 810,000 households and electricity for 250,000 private houses. In fact, Sweden has begun importing garbage because it does not have enough garbage to produce sufficient energy. This is the potential of the recycling of waste, which can be made possible by the segregation of waste. 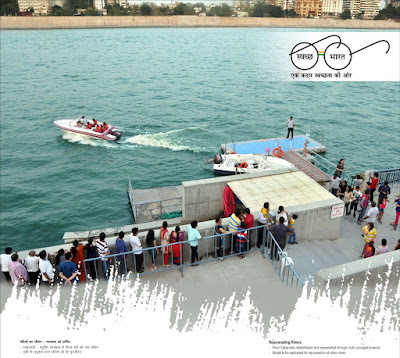 To unlock this potential, it is necessary that the people in India separate their waste effectively and that, when collected, the waste is collected in separate compartments. To highlight why there is an urgent need to that, we need to understand the seriousness of the situation. The Deonar dump, which is one of three waste dumps in Mumbai, has a mountain of waste up to 47 metres high, which creates both health and environmental issues. To highlight their problems, the residents around Deonar have founded an association known as the Smoke Affected Residents’ Forum (SARF). According to SARF, the health of at least 2.5 million people has been affected by the air pollution caused by the burning of garbage as well as toxic gases emanating from trash piled up at the Deonar dump. To separate waste, it is important that the process begins in the household itself. The waste needs to be separated into organic and recyclable waste. The next step is for the waste to be collected into separate compartments in the garbage truck. Then, the waste needs to be sent to separate places and recycled in different ways. Firstly, the organic waste can be sent to an incinerator in order to be burned to create biofuel. Secondly, the recyclable waste can be sent to factories where it can be reused or reshaped. Lastly, the inert waste can be sent to construction sites where it can be reused as construction material. 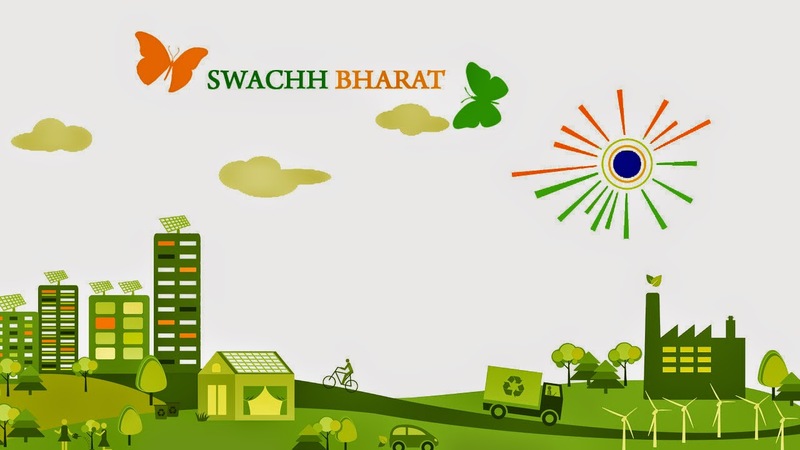 In order to solve the waste problem in India, it is vital that the citizens take steps towards a common goal, and one of the first steps necessary is the segregation of household trash. In order to put this plan into action, housing and the neighbourhood societies have to set down some dos and don’ts for waste segregation. The goal of this action is the shift towards a zero-waste system in India, where all of the waste produced is recycled. It’s a lofty goal, but it is very possible if small steps are taken towards achieving this goal. I Congratulate to our beloved PM HERE WE SHOULD TAKE INITIATIVE TO ASK ALL THE GOVT, NON GOVT ORGANIZATION TO EXPLORE THEIR ACTIVITIES OF EHSQ IT WILL TAKER TIME BUT IT WILL MAKE THE COUNTRY ON GREAT PATH OF INDIA DEVELOPMENT. I urge every shop shopping malls and each and big and small shops to maintain dust bins, so that customers which will make the people to maintain their surroundings clean.